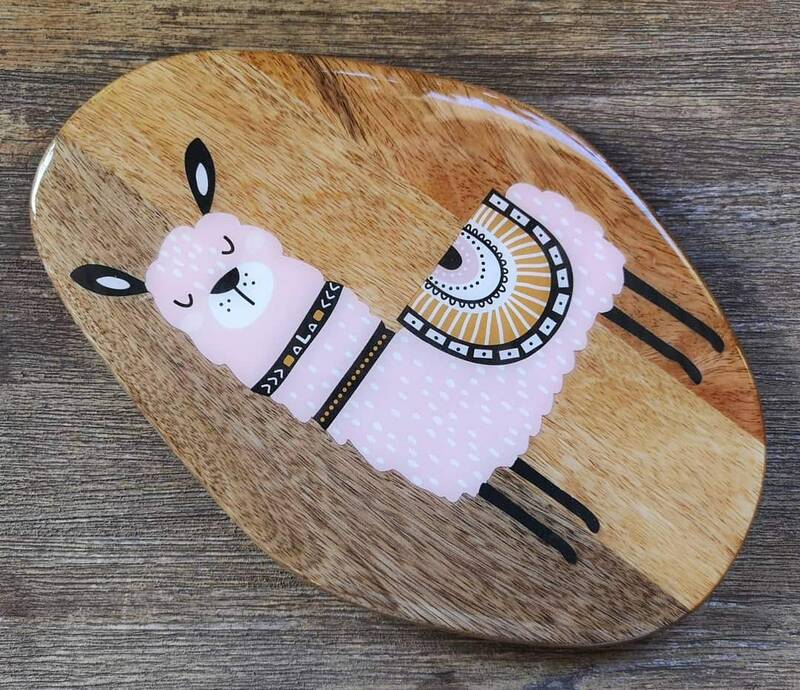 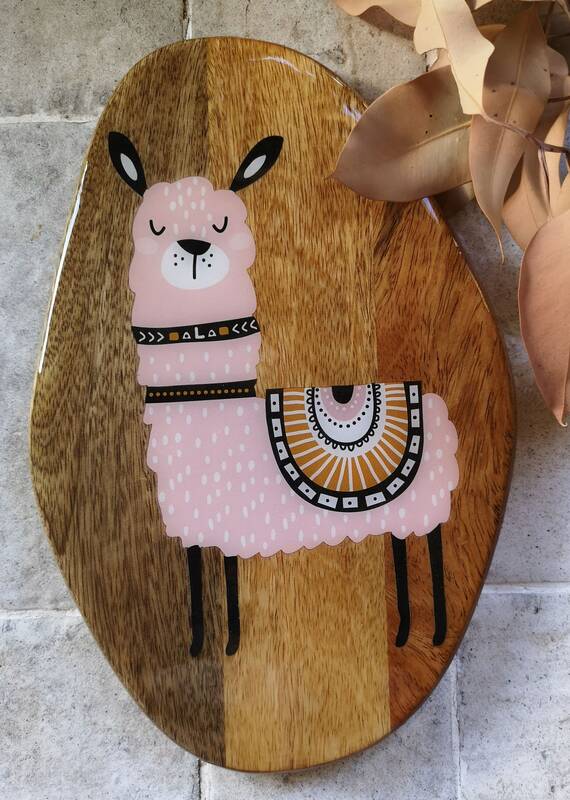 This cutie little llama on mangowood is sealed with two layers of food-safe resin. 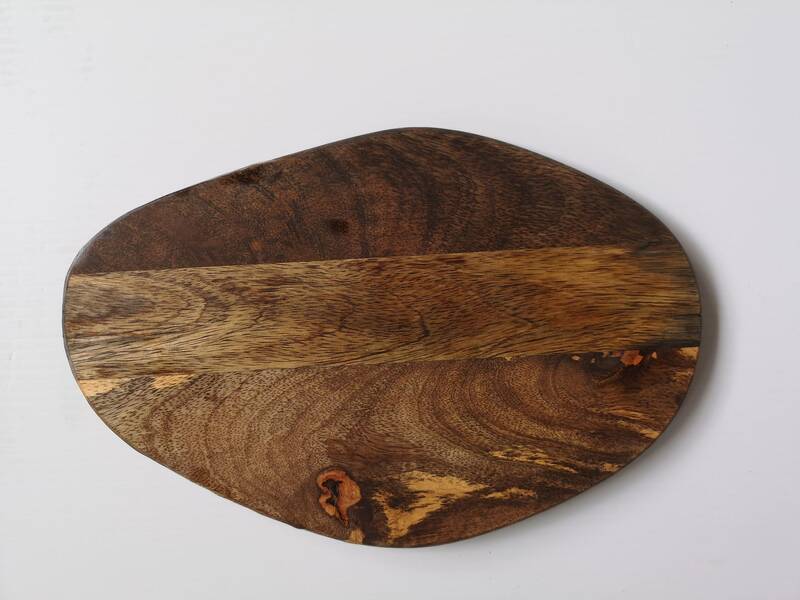 Dimensions of this board are 28 cm x 19cm (11" x 7.5"). 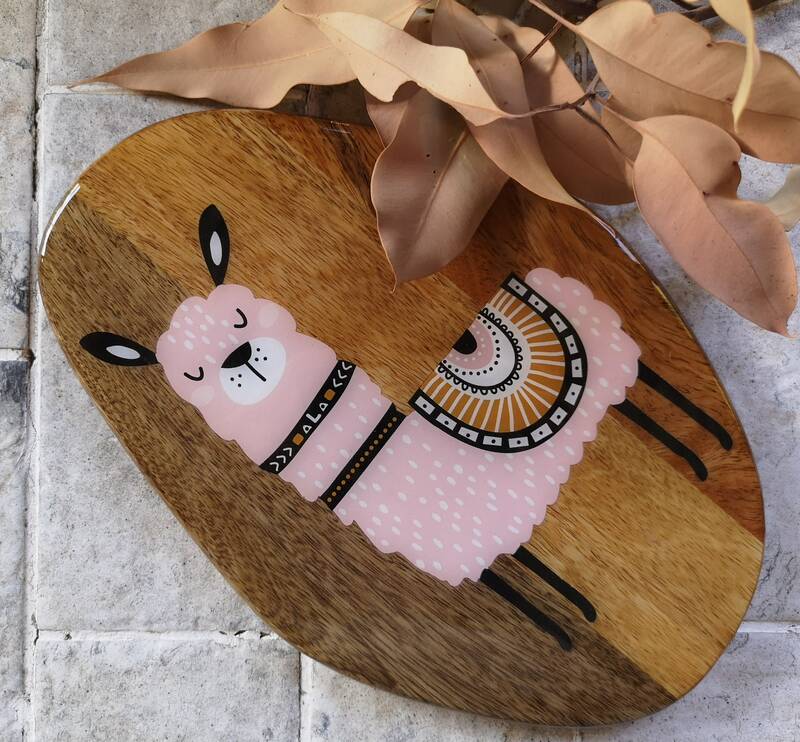 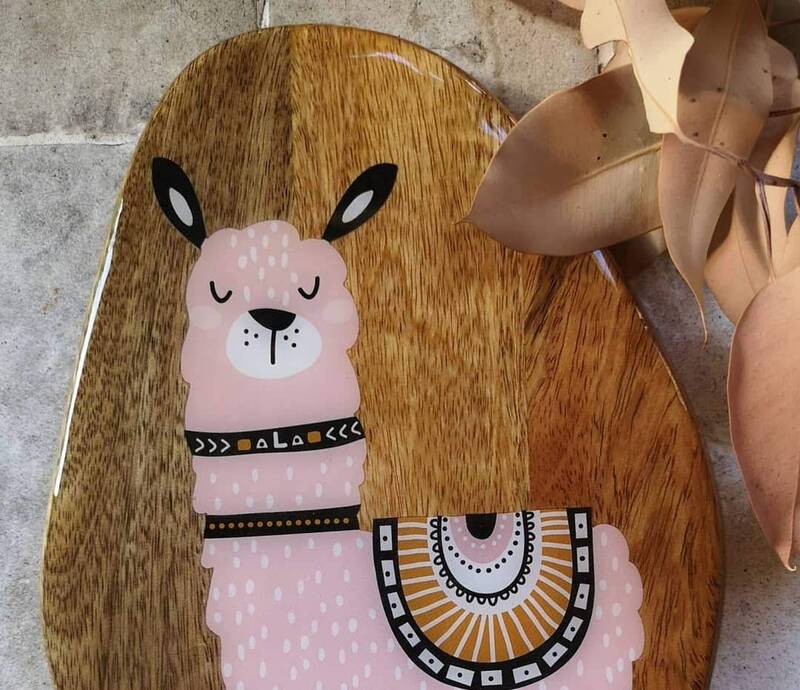 The back of the board is left plain, so you can use it as a chopping board, and then use the llama side as a serving board to present your goodies!